I’m happy to tell you that Jaynie is included in a new fashion book that comes out Oct 1. One of three fabulous new titles in the successful Design Museum FIFTY series by fashion guru Paula Reed. 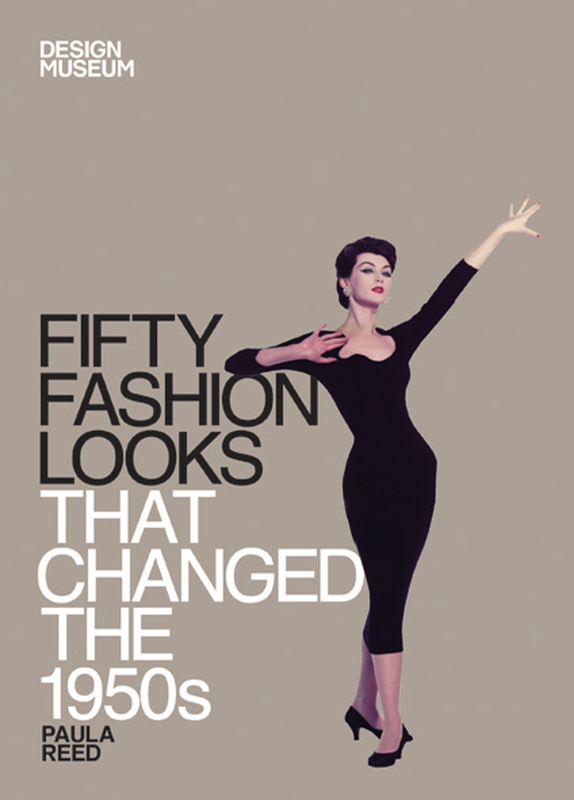 This beautiful reference work showcases 50 iconic outfits from one of fashion’s most influential and exciting decades. From the bombshell glamour of Marilyn Monroe in ‘How to Marry a Millionaire’ to the immergence of teenage style, via the sculptural forms of Christian Dior’s New Look and Balenciaga’s double A-Line, it celebrates all of the important looks that revolutionised modern fashion. With Paula Reed’s lively and informative text and a wealth of fabulous photography, it is vital reading for design students, collectors of vintage, and everyone who truly loves fashion. The Design Museum’s mission is to celebrate, entertain and inform. It is the world’s leading museum devoted to contemporary design in every form from furniture to fashion, and architecture to graphics. It is working to place design at the centre of contemporary culture and demonstrates both the richness of the creativity to be found in all forms of design, and its importance. Paula Reed is the style director at GRAZIA, the bestselling fashion weekly. She is a former columnist for the US edition of INSTYLE magazine and her career has included fashion or style director positions at several magazines and newspapers. 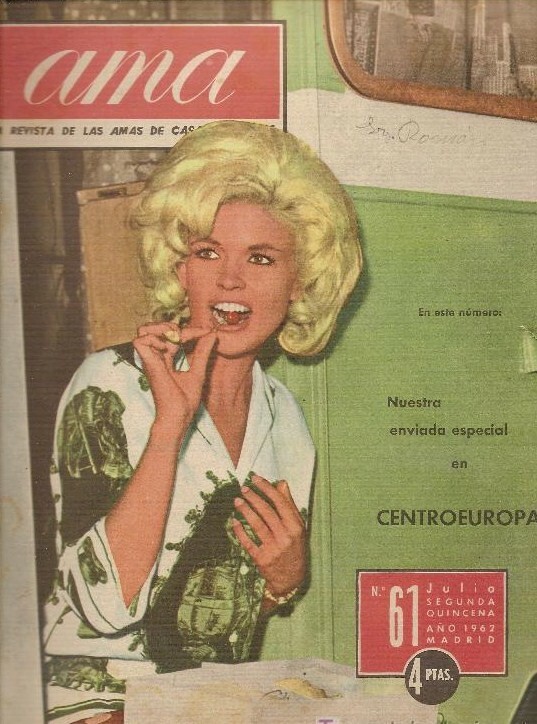 Celebrity reporter Neil Sean’s From Hollywood to Yorkshire explores Jayne Mansfield’s performance at the former Batley Variety Club in April 1967, and will be screened at the Midland Hotel in Bradford on Sunday September 9. The documentary explores the triumph and sadness of Mansfield’s life, and includes interviews with the people who worked with her on tour, revealing the girl behind the glamour. The screening will begin at 2.30pm and is free to attend. Mr Sean is keen for people who remember her performance to come along to be interviewed and share their memories for a new TV programme. 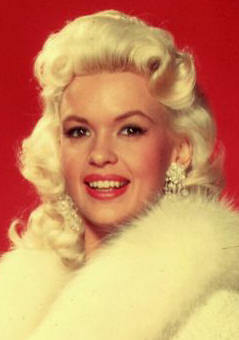 In Swedish stores the campy movie “The Jayne Mansfield Story” will be released 2012-08-08. A funny thing in this movie is that Jayne Marie never ages, ha ha. This film is also listed among The 100 Most Amusingly Bad Movies Ever Made in the book THE OFFICIAL RAZZIE® MOVIE GUIDE. “Den nakna sanningen om en av Hollywoods största sexsymboler. Byggd på Martha Saxtons bestseller. Hon var den enda som lyckades ge Marilyn Monroe en match om titeln Hollywood största sexsymbol. 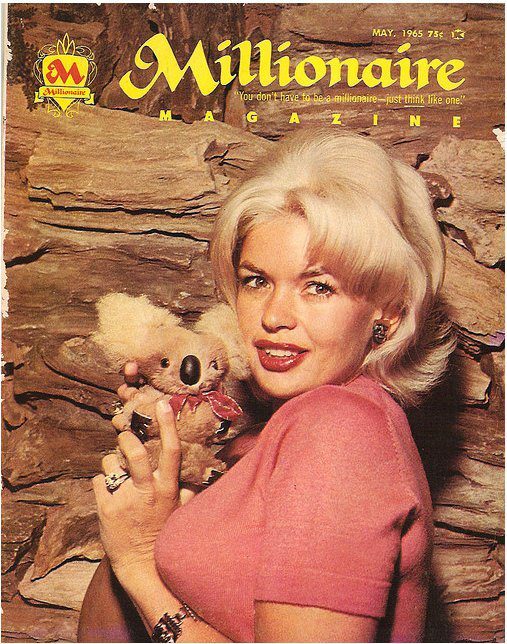 Blott 21 år lämnar brunetten Vera Palmer sin man och tryggheten i Texas, anländer till Hollywood och förvandlas till den platinablonda sexbomben Jayne Mansfield. Snabbt gör hon sensation, gifter om sig med Kaliforniens hetaste singel – självaste Mr. Universe – och går i klinch med Marilyn Monroe om titeln Hollywoods största sexsymbol.